Kent County Council has secured a seven-week electric bus trial for the county, only the second local authority to do so in the UK. Working with Volvo and ABB, a Swedish-Swiss engineering group, the electric bus produces no emissions and is driven by electric motors. 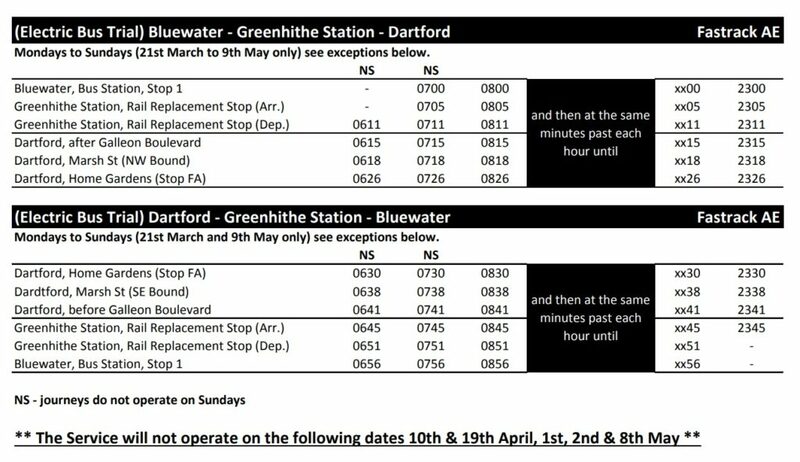 It will operate as an additional hourly service – running on the Fastrack A route between Greenhithe, Bluewater and Dartford from March 21 to May 9. The vehicle uses an electric driveline featuring an energy storage system used to power and electric motor drive system. The trial was launched by the Leader of Kent County Council Paul Carter on Tuesday (March 20). 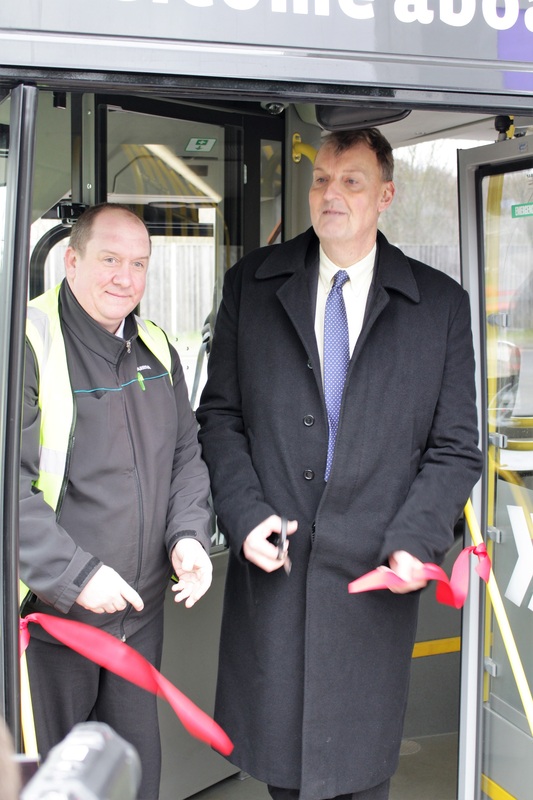 Mr Carter said: “We’re very proud to be only the second local authority to trial this innovative transport scheme. “The trial will last for seven weeks as part of Volvo and ABB’s one-year demonstration programme which will see the vehicle and infrastructure operate around the country with the majority of costs being covered by both Volvo Bus and their technical partner ABB. 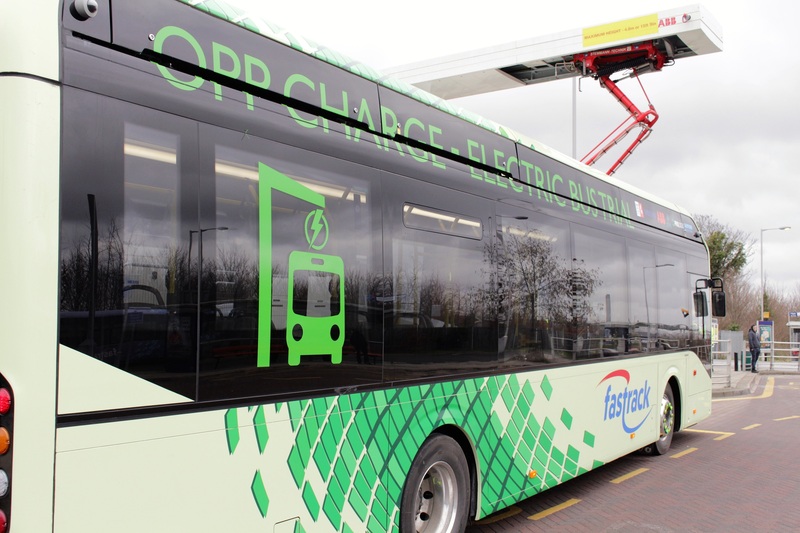 “The aim of the trial is to try this new innovative electric vehicle technology for ourselves and to show that electric buses with limitless range can work for the county. The bus, a Volvo 7900e, provides up to 80% lower energy consumption than an equivalent diesel bus. 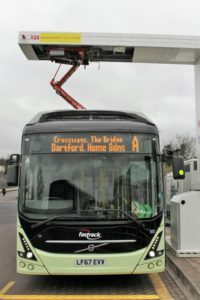 Nick Page, Managing Director of Volvo Bus added: “It has been exciting watching the full electric Volvo 7900e continue on its journey of demonstrations across the UK. “Kent is the third location following the initial trial in Manchester in September last year and subsequently at Heathrow Airport. “The 7900e, which is part of the Volvo Electromobility range, has been making great strides throughout Europe with successful operations in Sweden, Belgium, Germany and Luxembourg. Director of Property Management for Prologis UK Steve Haddock said “Prologis UK has been providing funding for the Fastrack A service for over a decade and this is a vital service for the residents and businesses located on our development at The Bridge. Frank Muehlon, Head of ABB’s global business for EV Charging Infrastructure added: “As the global leader in EV fast charging solutions we are proud to be partnering with Volvo and Kent County Council on delivering the third phase of the UK’s first ever fast charging bus installation. “The usage and feedback from the first two phases of the pilot have been very encouraging and we are delighted to be able to now bring this sustainable urban mobility solution to Kent. “We are confident that this trial will continue to demonstrate the huge improvement which electric buses can make on the environmental impact of public transport, with this bus delivering up to 80 percent lower energy consumption than its regular diesel equivalent. Christine Gayle, General Manager, Arriva Northfleet, said: “Arriva are both pleased and excited to be taking part in this trial in partnership with KCC, Volvo, Prologis, ABB and other stakeholders. “Given that buses are seen as the solution to reducing congestion and poor air quality a bus that is powered by electricity will produce Zero emissions at the point of delivery and is seen as a good alternative to natural gases or diesel. The timetable for the service can be found here and the latest news can be found by following @KentElectricBus on Twitter. Other stakeholders involved include Dartford Borough Council, Southeastern, Ebbsfleet Development Corporation and Bluewater.